(L to R) 2015 WILL Award recipients Catt Fields White, Theresa Kemper, Sherry Yarbrough, Alison Cummings, Dana Rivers, Jill Meyers. Not shown Marlee Ehrenfeld. The San Diego East County Chamber of Commerce recently honored Sherry Yarbrough, Executive Director of the Associated Builders and Contractors Apprenticeship Training Program as one of seven recipients of the Women in Leadership Luncheon (WILL) award. According to Leah McIvor, 2016 event chair, 35 nominees were considered by the committee for the awards program, now in its 14th year. She said the recipients were honored for their outstanding leadership, exemplary character and integrity in the community, as well as their efforts to empower women to succeed and prosper in life and business. Yarbrough was selected for her professional accomplishments as a leader in construction craft professional education; her volunteer contributions to industry related advocacy organizations including the National Association of Women in Construction including her role as a founding member of Future Construction Leaders Foundation of San Diego; and as champion for increasing professional opportunities for women and other underrepresented groups in the construction industry. Watch a portion of Sherry's acceptance speech in the video to the left. Since the ABC’s Apprenticeship Training Program began in 1989, more than 2,200 graduates have launched rewarding careers in five different construction crafts, including electrical, plumbing, pipefitting, sheet metal and air conditioning and heating. In addition to her work with NAWIC and the Future Construction Leaders Foundation, Sherry is also is a founding board member of the North County Trade Tech Charter High School, a school providing an alternative educational path for at-risk youth through New Haven Youth & Family Services. After a 17-year career at ABC, Sherry is retiring at the end of this year. 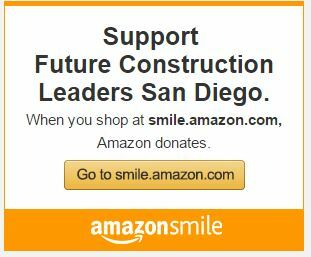 She will continue to serve as a board member of Future Construction Leaders. Other honorees also included Alison Cummings, St. Madeleine Sophie’s Center (SMSC); Marlee J. Ehrenfeld, MJE Marketing; Theresa Kemper, Grossmont Union High School District (GUHSD); Jill Meyers, Women in Aviation International; Dana Rivers, Barona Resort & Casino; and Catt Fields White, San Diego Public Markets. The September 16 luncheon drew 360 attendees to the Town and Country Resort Hotel in Mission Valley. Emcee was former TV anchor Lee Ann Kim who now serves currently serves on advisory boards for the Women’s Museum and San Diego Chinese Historical Museum. Kim was a WILL honoree in 2014. Keynote speaker was fitness instructor, dancer and choreographer Dionne Thomas, a licensed Zumba instructor and speaker at a 2015 TedX Temecula event.